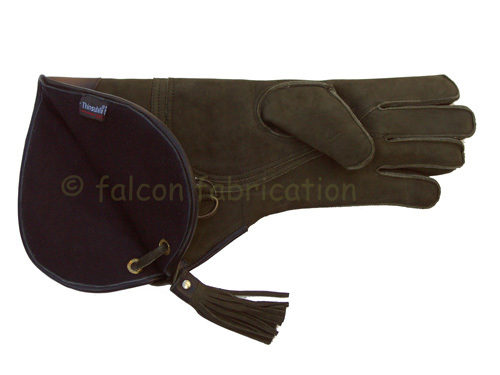 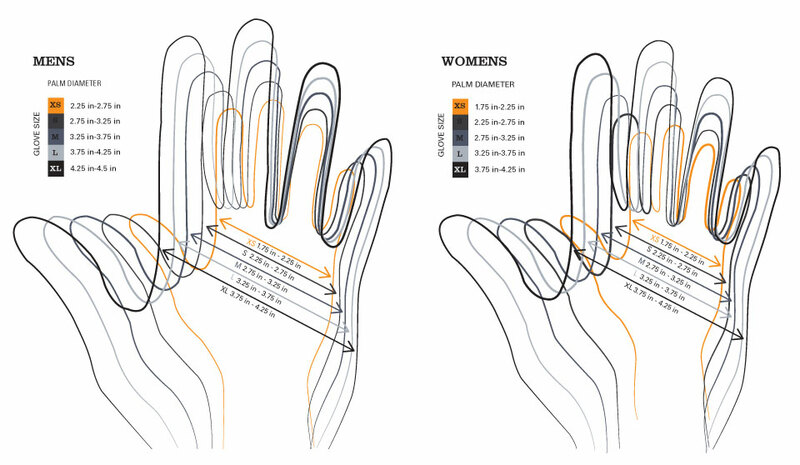 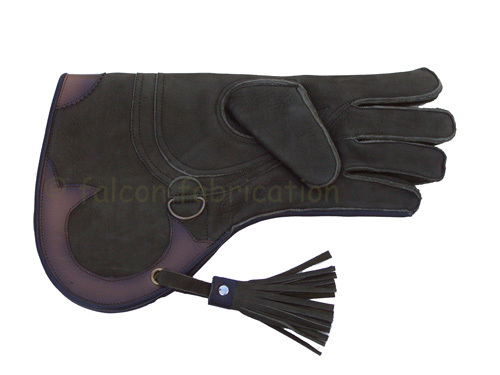 A very comfortable fitting glove that’s designed to be longer in cuff for added Security! 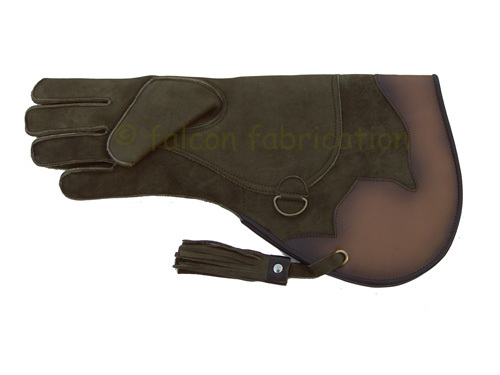 For the larger hawks or where the hawk may have the tendency to stand on the arm rather than the fist! 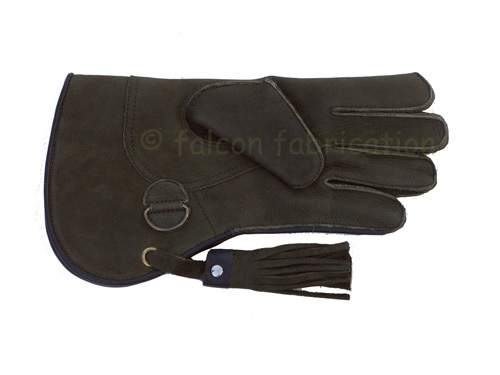 Their is also the “D” link for safety of the hawk whilst on the glove.